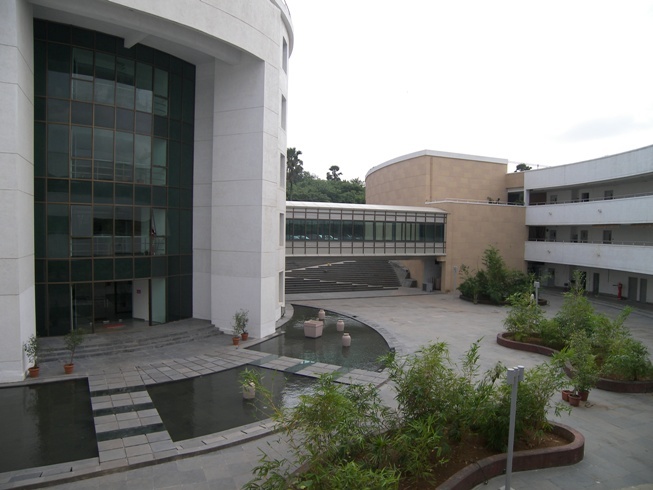 Whistling Woods International (WWI), will reprise its role as curator of the student film competition – a part of The Pune International Film Festival (PIFF). PIFF 2011 is being held from 6-13 January, 2011. In 2008, WWI introduced a special section at PIFF for films made by film & media students only. The WWI Student Film Awards are open only to students of film and media Institutes, ensuring that the quality of entries received are of a high quality. These awards have a global outreach and the participants are full raw talent with a passion for film-making. In return, the competition offers promising film-makers an excellent platform to showcase their work. This year, 3 WWI films have been selected for screening, Der: Andher and Punha have been selected for the Short Fiction category, Der: Andher has also been nominated for the Cinematography category. WWI in association with Sennheiser Worldwide has introduced a special award for sound design, the Sennheiser Young Indian Audiographer Award. This award is open to students of Indian nationality or those studying in a film Institute in India only and will be awarded on the basis of best sound design. Jagjeet- A WWI student film has been nominated for this new category. Whistling Woods International chairman Subhash Ghai says, “Whistling Woods International has left no stone unturned in creating a niche for itself and the results are for all to see. Our film-makers are the best in the industry and at par with international standards of film-making. This global acceptance has urged us to forge ahead with much vigor and we are absolutely ecstatic to take forward this relationship we share with PIFF to achieve yet another milestone. PIFF is an outstanding platform for our young gifted film-makers to exhibit their work and liaise with industry professionals, which otherwise is difficult. This festival now marks the onset of another beginning as it has been declared the flag-bearer and official film festival of the state of Maharashtra. With more than 400 film submissions received from over 35 countries across the world, the enviable list of participating film and animation institutes include Film & Television Institute of India (Pune), Royal College of Arts (London), USC School of Cinematic Arts (California), Vancouver Film School (Vancouver), Centro de Capacitación Cinematográfica (Mexico City), Ecole George Méliès (Paris), Escuela de Cinematografía y del Audiovisual (Madrid), The Sam Spiegel Film & Television School (Jerusalem), La Fémis (Paris), Station Next (Denmark), London Film School (London), Filmakademie Baden-Württemberg (Germany), Gobelins (Paris), the Irish School of Animation (Dublin), National University of Arts (Taiwan) and many more. A selection of the best student films will be screened before the jury on 8 & 9 January, 2011. The winners will be announced at the closing ceremony for various categories, including Best Film, Best Director, Best Screenplay, Best Cinematography, Best Audiography, Best Indian Animation Film & Best International Animation Film. i want to do acting classes..in whistling woods..
pls tel that classes is in pune..